The newest Uber driver in Pittsburgh isn't a person -- but a Volvo XC90. Uber is launching public trials of fully self-driving cars in Pittsburgh this month. This is the first time Americans will get a chance to ride in a self-driving car. 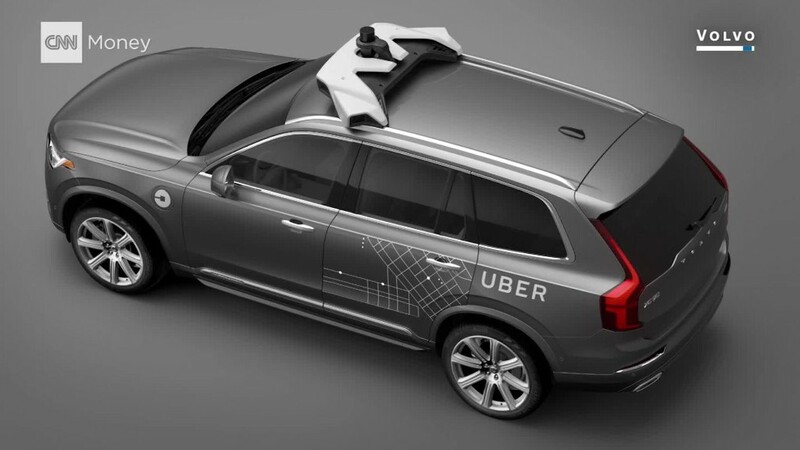 Volvo and Uber announced a $300 million project to jointly develop autonomous cars on Thursday. The deal isn't exclusive, leaving both the option to potentially work with other companies. So far there are six self-driving Volvo XC90s being tested in Pittsburgh, according to a Volvo spokesman. By year's end there will be 100. Later this month Uber customers in downtown Pittsburgh will be able to summon self-driving Ubers, according to Bloomberg, which was first to report the news. Uber customers can't specifically request a self-driving car. Rides on the driverless cars will be doled out at random and initially be free of charge. For now, Uber's self-driving cars will include an Uber employee who sits behind the wheel and monitors the self-driving car. A copilot will also ride in the passenger seat, according to Bloomberg. In the event the car is unable to drive safely, the Uber test driver will be present to intervene. There's no timeline for when the self-driving cars will operate without the Uber test driver and copilot. Pittsburgh riders will have to opt in and say they'd like to ride in a self-driving car before Uber will dispatch one to them. Only 48% of Americans are willing to try a fully self-driving car, according to research the Boston Consulting Group released this summer. Riders will be able to identify the self-driving cars due to the bulky sensor package on the roof, and the driver not having their hands on the wheel. Uber will also be using some self-driving Ford Fusions, which they've used previously to map the city. Uber announced in May that it was beginning to map Pittsburgh for its self-driving vehicles. In the spring of 2015 Uber hired scores of Carnegie Mellon University robotics researchers to help develop self-driving vehicles. Many transportation experts see driverless taxis as an existential threat to Uber's existing business. Automakers such as Tesla (TSLA), Ford (F) and GM (GM) have announced plans to operate autonomous ride services. Without the cost of having to pay a driver, these self-driving taxis are expected to cost significantly less than traditional taxi and Uber rides. Pittsburgh's government has enthusiastically embraced the new technology. Pittsburgh Mayor William Peduto has previously said self-driving vehicles will improve road safety and make his city more efficient. There are 1.25 million global road fatalities a year, and crashes are overwhelmingly caused by human error. Uber also announced Thursday that it's acquiring Otto, a self-driving truck startup founded by former engineers from Google's (GOOG) self-driving car project. Otto cofounder Anthony Levandoski will now lead Uber's self-driving efforts. In a blog post, Otto said its self-driving trucks would improve driver safety and offer shippers a more reliable service.